1 What is a Heart Attack? 2 What is a Massive Heart Attack? 12 When to seek medical attendance? 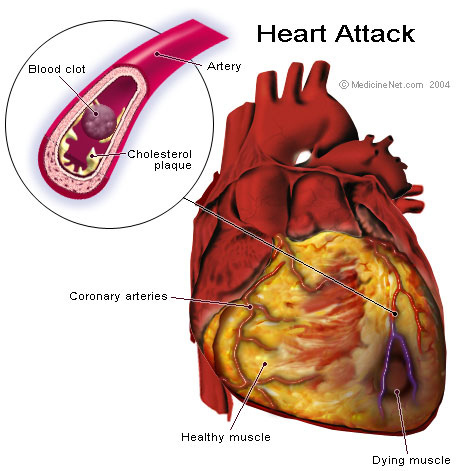 A heart attack is one of the severe health issues around the world and is medically termed as myocardial infarction. It is a severe form of a heart attack due to lack of oxygen and inadequate blood supply to the heart muscles that causes damage to a large area of the heart. The electrical impulses are mainly responsible for heartbeats and these impulses become weak and irregular as parts of the heart muscles become dead. The oxygenated blood from the ventricle enters the heart and brain causing massive damages. A massive heart attack affects a significant portion of the heart muscle or causes an enormous amount of heart damage. 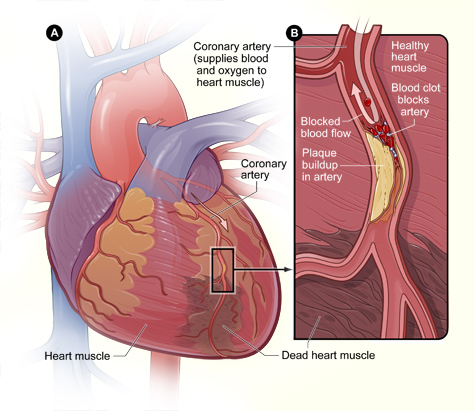 It can happen if the blockage in a coronary artery occurs in the large artery that supplies blood to a significant portion of the heart. 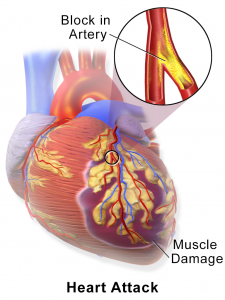 Moreover, it may also be a result of a complete blockage in the blood flow to the heart. These eventually end up causing myocardial arrhythmia, failure of the heart and a chance of a second heart attack. Also, people might get unconscious and in the worst conditions death of the patient occurs. At times, major heart attacks may have a catastrophic outcome on the patient and studies reveal that in 40 to 50% cases there is an increased death risk after the patient is hospitalized. Unlike females, men are more prone to suffer from massive heart attacks under the age of 75 years. But crossing over, both males and females are equally exposed to cardiac attacks. When to seek medical attendance?